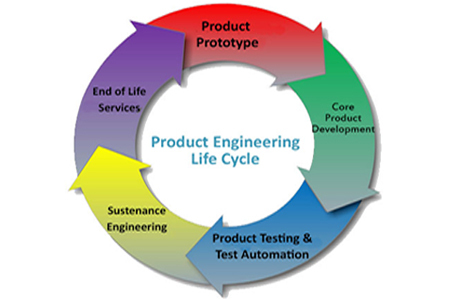 Sustenance Engineering is helping industries to introduce new products in faster phase and driving product companies to launch new products and enhancements in quick succession. Argus helps customers to enhance and migrate to next generation products and scale to manage the products which allows your core team to focus on the innovative new product development. As a result the expenditure on product sustenance decreases by 20-30%.Argus core activities are value engineering, product enhancements and product upgrades, service call management, issues resolution and management, bug fixing. Argus technologies team is committed to provide highest quality and maximum benefits to the clients through our innovative design and innovative products. We offer end to end product life cycle management solutions and we are expertise in sustenance service, has successfully managed product lines for its customers. Argus help customers to manage their products, optimize their performance, adapt new functionalities and enrich user experience.Our expert team can design and effective sustenance engineering plan which fits your business. Argus technologies team has extensive domain knowledge in the fields of systems engineering, Embedded Hardware, Embedded software and Electronic Manufacturing Services.